Thank you to all my clients for your business. 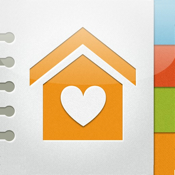 My "Happynest" app gives you access to savings from a host of home improvement products and services. Check back often and discover exclusive deals and savings offers. The usefulness and benefits of this app are for the use of my valued clients and therefore by invitation only. I work hard to expand this list everyday for you as a show of my appreciation. Download it and start enjoying the benefits now!